Boombox? That is exactly what Logitech is trying to recall the experience but in a much richer audio experience and perhaps even lighter. When I first tested it in the office, many of my colleagues were simply amazed by the loudness and its sound quality it produce, not compromising on bass without subwoofer and utilizing Bluetooth Technology to bring your favorite EDM (Electronics Dance Music) enjoyable on this baby! Good for me when I use it when I was in the private gym or outdoor BBQ with friends! I like the fact on one side, their volume control "+" and "-" cannot missed and easy to press. The handle are easy to carry and imitate just like the old school boombox, walking with it looking cool! Even if you plan to use it like your Desktop speaker, it offer a power adapter to keep it charge without any messy audio cable to tidy up. The ease of use connecting it with my laptop, mobile phones and iPad are so convenient once you paired it. This baby is build with 2 x 0.5" Tweeters, 2 x 3" Woofers and 4 x 5/8" Passive Radiators. Able to pair up to 8 Bluetooth enabled devices and connect up to 3 devices at the same time. Mobile range of play up to 15 meters. 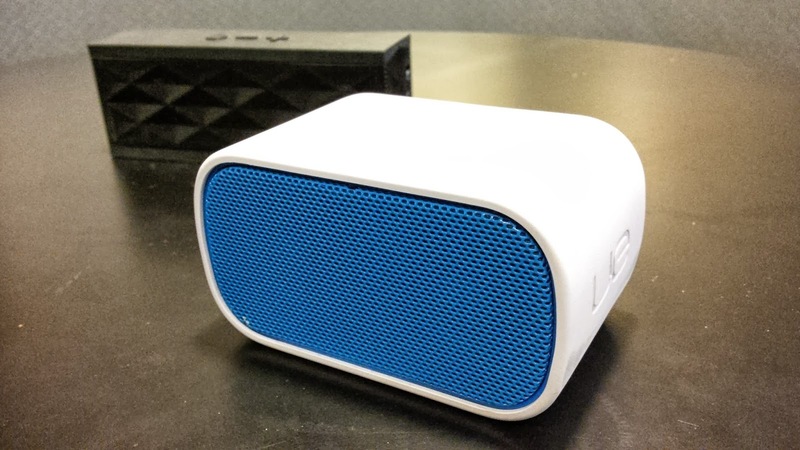 Even his younger brother, Logitech UE Mobile Boombox which is much smaller and portable is able to deliver the loudness, at least for a small room, use for audio conferencing or like me, I use it when I shower in the toilet. 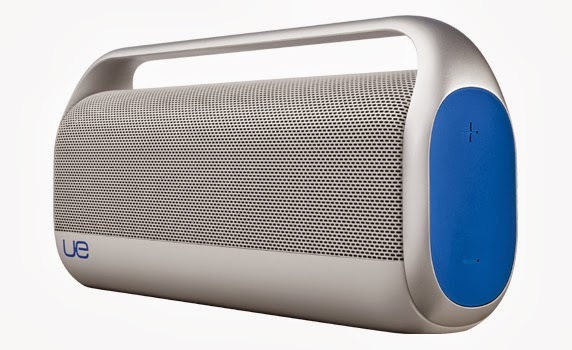 You can use microUSB cable to charge this bluetooth speaker and it has up to 10 hours of battery life. Just like his big brother, it is able to pair up to 8 Bluetooth enabled device but can only connect up to 2 devices at the same time. Mobile range is 15 meters too! If somehow you want to connect this speaker to iPod, you can connect it via 3.5mm audio output.